Over long winter weekend, three Deerfield squash teams – girls varsity, boys varsity and boys JV – traveled to Trinity College in Hartford, CT to compete in the 2019 HEAD US High School Team Squash Championships. 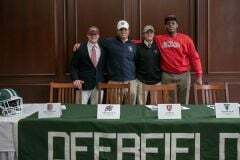 During the three-day tournament, each of the three Big Green teams played four matches against teams from all over the country. 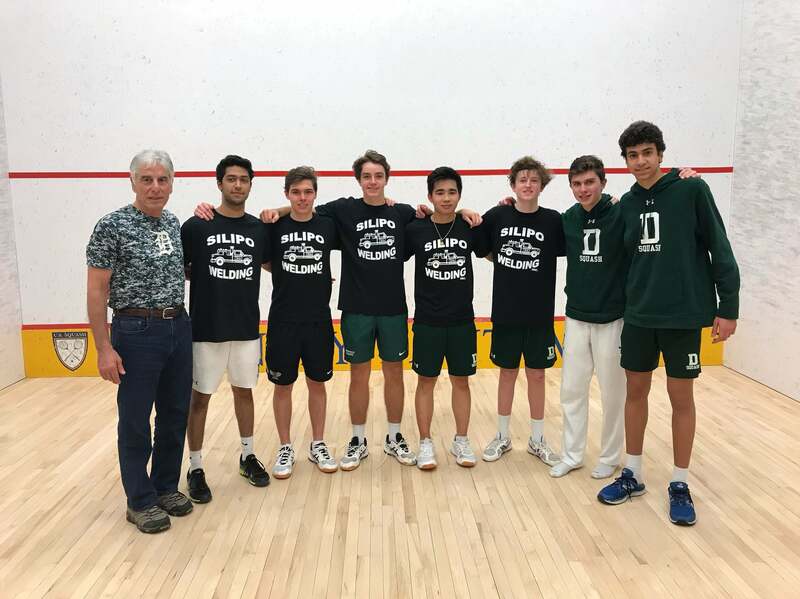 The boys JV squash team went undefeated at the event to capture the Division III title, earning the No. 33 ranking in the country. 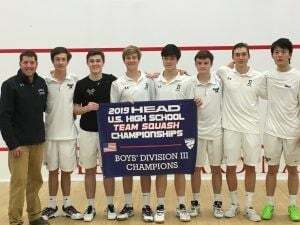 The varsity boys and varsity girls squash teams fell in their semifinals match ups to the eventual national champions, Brunswick School and Greenwich Academy respectively. In the consolation final, the boys varsity team defeated St. Paul’s 6-1 to capture the bronze medal and the No. 3 national ranking in the boys Division I tournament bracket. The girls varsity team fell in their consolation final to Baldwin 5-2 in a closely contested match to earn the No. 4 national ranking in the girls Division I tournament bracket. 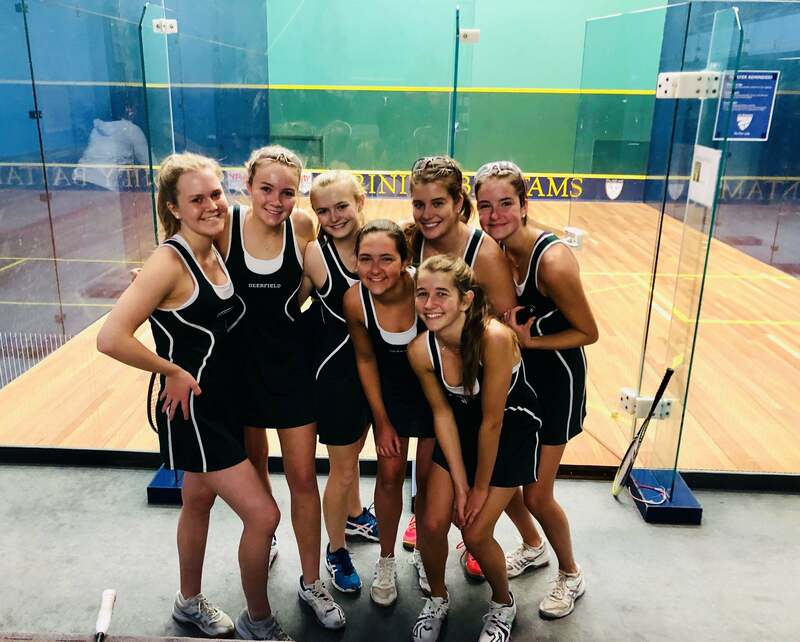 For the 2019 HEAD US High School Team Squash Championships brackets, click here. Each team will resume their regular season schedule this week. The girls varsity team will travel to Loomis this Wednesday, 2/6 to go head-to-head with the Pelicans at 3pm. This will be the first of five remaining regular season games for the squad before the New England Championships on February 23rd. The boys varsity and JV teams will return home this Wednesday, 2/6 to host Avon at 3pm. Tune in to watch Wednesday’s varsity matches on our Livestream. Including Wednesdays matches, the varsity team will have six more matches to help them prepare for the New England Championships on February 23rd. The JV squad will look to preserve their undefeated record in their five remaining matches of the season. Congratulations to all three teams on successful weekend!